– The most famous Russian psychologist, whose life and ideas are least known? – A pioneer of psychology who said virtually nothing new? – A simple man who became a genius after he died? This fundamentally novel intellectual biography offers a 21st-century account of the life and times of Lev Vygotsky, who has long been considered a pioneer in the field of learning and human development. The diverse Vygotskian literature has created many distinct images of this influential scientist, which has led many researchers to attempt to unearth ‘the real Vygotsky’. 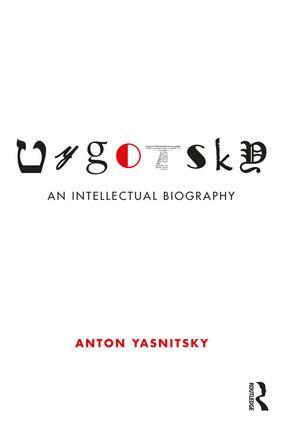 Rather than join this quest to over-simplify Vygotsky’s legacy, this book attempts to understand the development of ‘the multiple Vygotskies’ by exploring a number of personae that Vygotsky assumed at different periods of his life. Based on the most recent archival, textological and historical investigations in original, uncensored Russian, the author presents a ground-breaking account that is far from the shiny success story that is typically associated with ‘the cult of Vygotsky’. This book will be an essential contribution to Vygotskian scholarship and of interest to advanced students and researchers in history of psychology, history of science, Soviet/Russian history, philosophical psychology, and philosophy of science. Beba Vygodskii: The "Young Jewish Prophet"
The "Cultural Front," Marxism, and the "New Man"
Vygotsky’s New Method: "Double Stimulation"
Marxist Practicality and the "New Science"
The Variety of "New Psychologies"
Anton Yasnitsky, Ph.D., is an independent researcher who specializes in the Vygotsky–Luria Circle. He has coedited (with René van der Veer et al.) The Cambridge Handbook of Cultural-Historical Psychology (2014), Revisionist Revolution in Vygotsky Studies (2015), and Vygotski revisitado: una historia crítica de su contexto y legado (2016).